William Martin is the award-winning New York Times bestselling author of ten novels, a PBS documentary, book reviews, magazine articles, and a cult-classic horror movie, too. His first Peter Fallon novel, Back Bay, established him as "a master storyteller." He has been following the lives of the great and anonymous in American history ever since and has taken readers from the Pilgrims to 9/11. 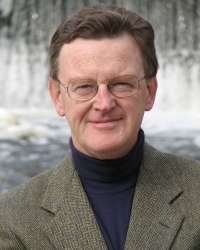 He was the 2005 recipient of the prestigious New England Book Award, given to an author "whose body of work stands as a significant contribution to the culture of the region." He lives near Boston with his wife and has three grown children.